Rep. Matt Windschitl today introduced HF-259, The Family Defense Act (FDA), to address critical flaws in Iowa law that discourage or prevent responsible Iowans from having at hand the best tool for defending their families from violent crime – their lawfully carried defensive handgun. 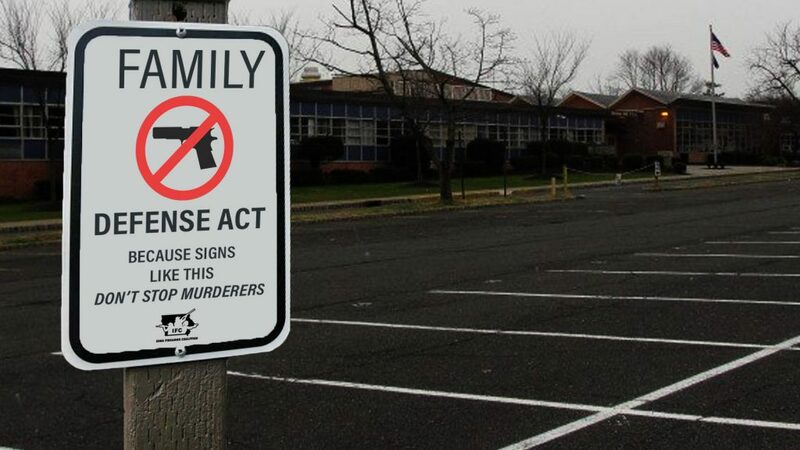 Currently, Iowans who routinely and lawfully carry a handgun on their person or in their vehicle throughout the day, commit a felony if they enter onto school grounds while so armed, even if only for a moment to drop off or pick up their child or spouse. Many Iowans are also burdened by senseless restrictions not only at their child’s school but in their employer’s parking lot or at the county courthouse. This bill eases those burdens and erases imaginary lines that restrict your Second Amendment rights and inhibit your ability to responsibly defend your family. This bill addresses the carrying, possession or transportation of weapons at school, work, or publicly owned entertainment venues. Current law makes picking up a child from school while armed with a handgun a class “D” felony, a law passed only in 1995 that provides zero real benefits to Iowans, but which places a significant burden on those who choose to carry for their defense. This bill will allow adults to lawfully carry a concealed pistol or revolver on the driveways, parking lots and sidewalks of a school. It also provides that a school is immune from any claim seeking damages as a result of someone lawfully carrying on the school grounds. The Family Defense Act also prohibits an employer from restricting an employee from possessing a firearm on the property of the employer if that firearm is out of sight and inside a locked vehicle and otherwise lawful. What does that mean? Your boss can’t impose a company policy that prohibits you from having your firearm safely stored in your vehicle while at work. This legislation includes contract employees and volunteers. Under the bill, employers are protected from liability for damages as a result of an employee bringing a firearm or ammunition onto their property in compliance with this statute. Remember when Chief Justice Cady took it upon himself to limit your right to carry a firearm anywhere in an Iowa courthouse? This bill makes any court order like that unenforceable in a county courthouse or joint-use space, other than in courtrooms and court offices. These county offices are the people’s buildings, and all rights should be recognized inside of them. The Family Defense Act would also extend Iowa law’s current protections against local regulation of firearms (known as “preemption to the state”) to all weapons, as well as to firearm modifications and attachments. This expansion will prevent a patchwork of local regulations on knives, suppressors, folding stocks, ammunition magazines, etc. The bill preserves the right of individual Iowans to file a lawsuit and seek damages if they are adversely impacted by such an (invalid) local regulation. The FDA adds an exemption to the ban on local weapons regulation for publicly owned entertainment venues in specific cases where weapons bans are contractually required and the venue provides both actual screening for weapons and the presence of armed security personnel. Merely posting a “No Guns” sign will not be permissible. Iowa Firearms Coalition has made eliminating the imaginary lines that arbitrarily restrict the liberty of gun owners a priority in 2019. The Family Defense Act is how we’re going to accomplish that. Tell your Senator and Representative that you want the Family Defense Act (HR-259) signed into law! Please pass the HR-259 for us that legally carry daily , so we dont have to stop unload and secure our hand guns to enter school property to pick up our kids grandkids from school, we pose no threat to kids or teachers . Please pass HR259. I legally carry and when I pick my grandkids from school I should not have to worry about braking the law. Those of us that follow the laws are not a danger to the kids. When I was in high school it was common practice to have a gun in our cars to go hunting after school. We were never a threat to the teachers or other students.